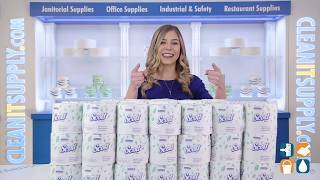 CleanItSupply.com offers the best and most durable toilet paper products for your home or business including 1 ply Scott toilet paper rolls. All of our toilet paper products are to everyone at wholesale discounted prices. Scott Toilet Paper Standard Roll Bath Tissue combines the perfect balance of strength, softness, and absorbency at a low cost and meets EPA standards. A minimum of 20% of the toilet paper is made from post-consumer material. One ply Scott Toilet Paper sheet size is 4.5” by 4” and is sold in Cartons of 80 toilet paper rolls. Each roll comes individually wrapped which will not deter from the beauty or your bathroom either at work or at home. Buying in Cartons quantities saves you money compared to purchasing smaller quantities from a retail store. We also save you time by delivering the product directly to your doorstep. 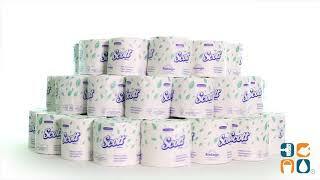 Scott Toilet Paper is manufactured by Kimberly Clark paper products. Readily Available to Ship Fast! Buy Now and Save!